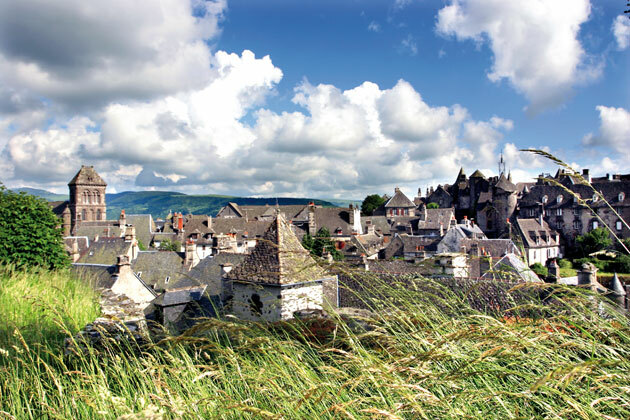 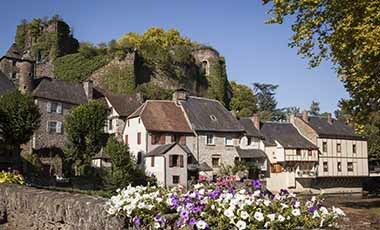 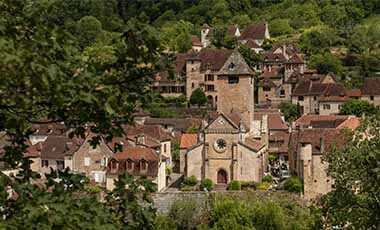 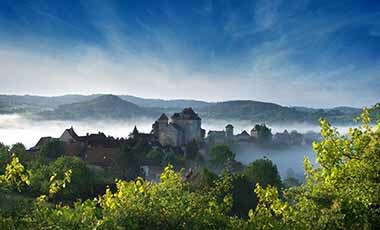 Salers is a typical small village in the Auvergne mountains and is famous for its cheese. 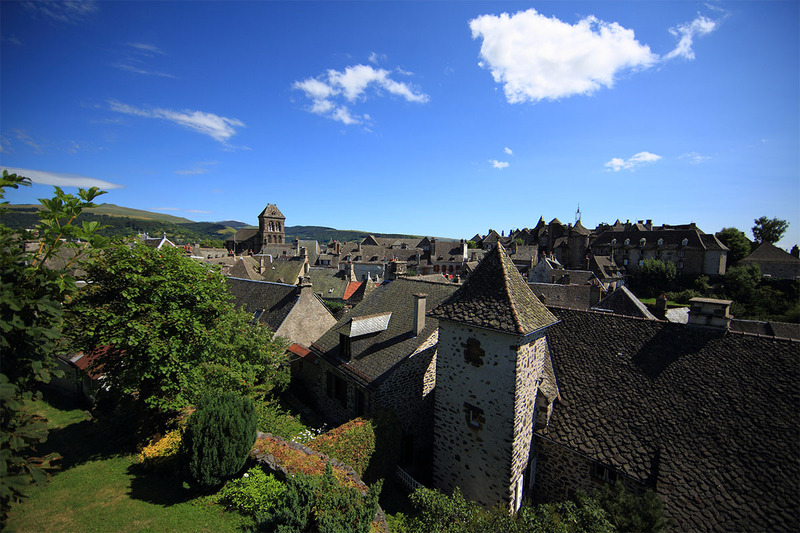 Salers is an unspoilt 16 th C village which stands at an altitude of 950 m. It presents a harmonious whole with houses made of dark lava stone and topped with turrets. 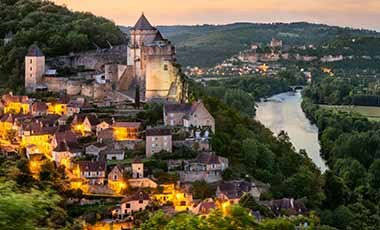 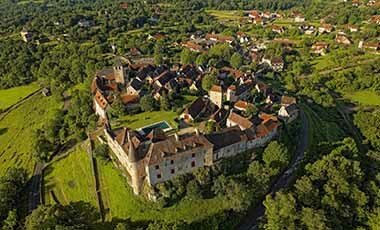 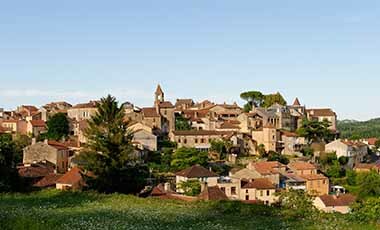 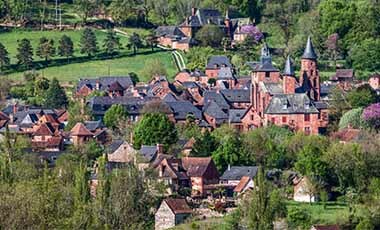 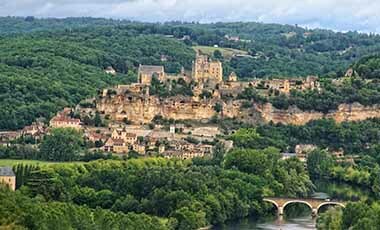 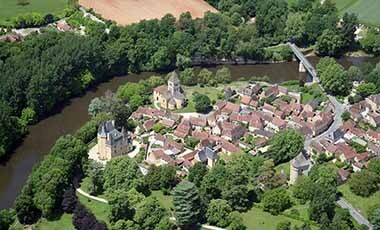 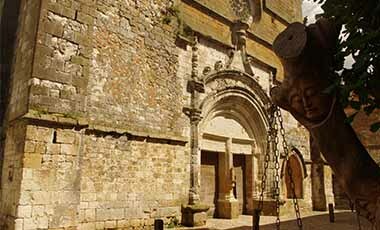 There are several classified historic monuments to admire, including the old baliff’s court, the Maison de la Ronade with its five storey high tower, and the Maison des Templiers, which houses a museum exhibiting the town’s folklore and past. 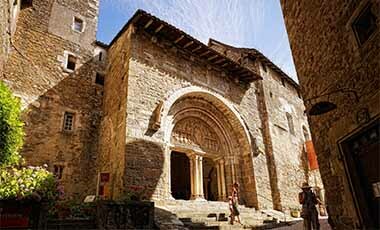 The Church of Saint Matthieu contains treasures in the form of five 17 th C Aubusson tapestries, a tomb and a polychrome lectern. 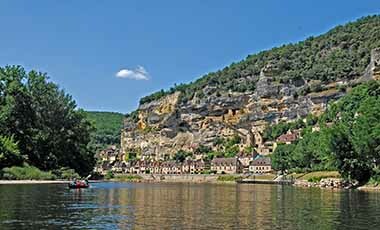 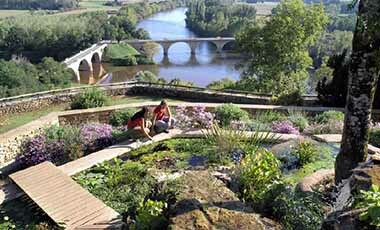 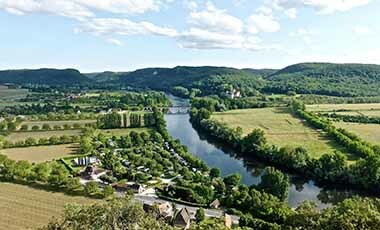 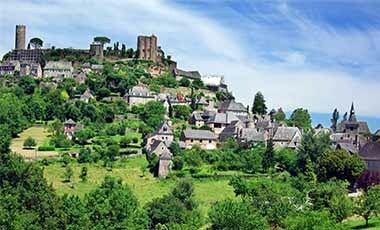 Nearby, there are fantastic panoramic views over the Puy Violent and surrounding green valleys. 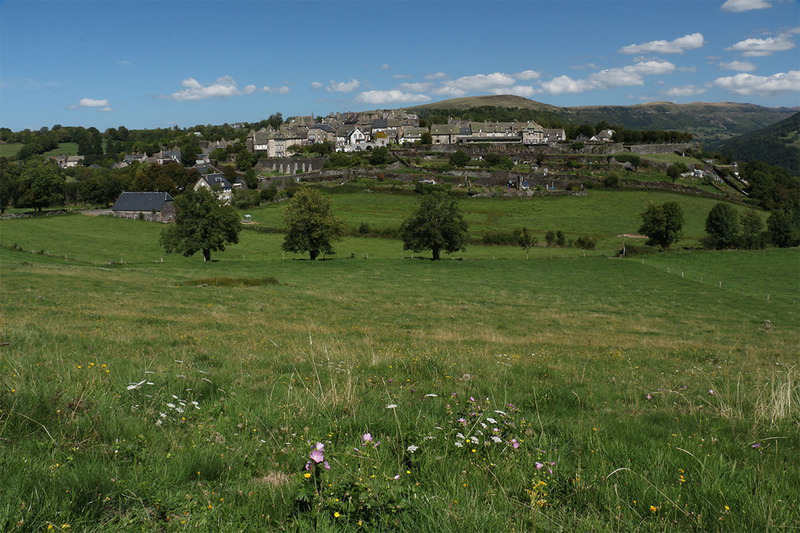 Even though the charm of the village is part of Salers’ appeal, it has been made famous thanks to a regional delicacy, its cheese, which is made from Salers cow milk. 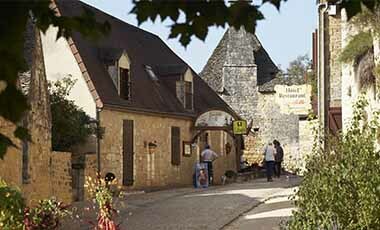 ‘Salers’ is also the name of a brand selling Gentiane liqueur.